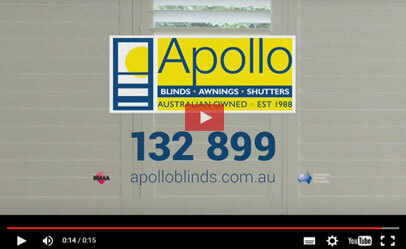 Send us your testimonial by email to feedback@apolloblinds.com.au. We also invite you to publish your Testimonials on our social media. 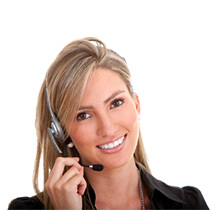 Your team’s service has been great, and the installation was fantastic. So kind, helpful and professional with my parents in their 90’s! just wanted to drop you a line to say we are over the moon with how beautiful our shutters look! The service from Day 1 has bee great, from meeting you and getting our quotes, the calls I’ve had from Vanessa and Frank and his Brother in Law,the installers, who worked here until 11.30 last night with a smile the whole time! I’d recommend you guys in a heart beat! We can highly recommend Apollo Blinds. We have just had plantation shutters and an awning fitted. From getting the quote to the fitting each step of the way all the staff involved were prompt courteous professional & friendly. The workmanship & quality is excellent. Our home looks amazing a big thank you to all @ Apollo Blinds. I would like to thank you for your personal excellent courtesy shown to me during the course of this transaction and subsequent installations. I would also like to thank Anthony for the the professionalism and patience shown to me during my initial visit to your showroom – his product knowledge and advice resulted in Apollo Blinds receiving my order even though he was the last of 4 Salespeople and Firms to see me the day I placed the Order. Also, your fitter Brian did an excellent installation job initially for the verticals and then on Tuesday 22nd September, the installation of the shutters. The first window was fairly straightforward for Brian and went smoothly – the second involved a lot more finicky work (due to affixing framework against tumbled bricks and the unevenness of their surface. Brian did not finish and leave my premises until 8.00pm. Result – a job well done and I will proudly show it to my acquaintances and pass the recommendations on to you good people. I thank you again to you, Anthony and Brian and I hope you all get the recognition you deserve in the way you treated me and the subsequent installation. This email is to commend the service person who repaired the vertical blind at my villa this week. He phoned at the agreed period and attended at the arranged time. My table where the repair to the blind was made was protected during the service and cleaned the repaired section of the blind afterwards. Most impressive of all, the repaired slat was moved to the end of the blind where it would have less pressure from the adjacent slats. Good customer service is rarely provided these days and I thank your business for sending such a reliable and helpful person. Would you please pass on my thanks and comments to him. I regret I did not ask his name but your records would show who that employee was on the day. they have handled this work. Thank you for organising Rhys to install the replacement blinds for my bedroom which was completed on Saturday, June 20th. He did a perfect job. He did not rush or attempt to drill into the wall without checking the structure. He ensured he had the correct screws. He also cleaned up all the dust and took away all the packaging. I would like to commend his workmanship, politeness and punctuality not to mention his phone call to advise exactly the time he would be at my home. Thank you also for the caps for my kitchen blinds. They are terrific and make such a difference in the look of the corner blinds. Nathan is a brilliant problem solver. Agnes is tireless in following up the customers requests. Rhys, well don’t lose him as he is the best you have got and you know I must have met most of Apollo’s installers and fitter’s since March 2014. All the best to you both and of course, Rhys. "Most helpful, courtesy and always called me back within such a short time"
I wanted to give you some feedback re Natalie Clark whom I have been dealing with regarding the fitting of my Apollo Blinds. She has been most helpful, courtesy and always called me back within such a short time of me leaving a message for her to do so. Often in these types of customer services roles having your request responded to in such a short time is rare. She has made having new blinds installed a very easy experience. Please can you pass on my thanks.